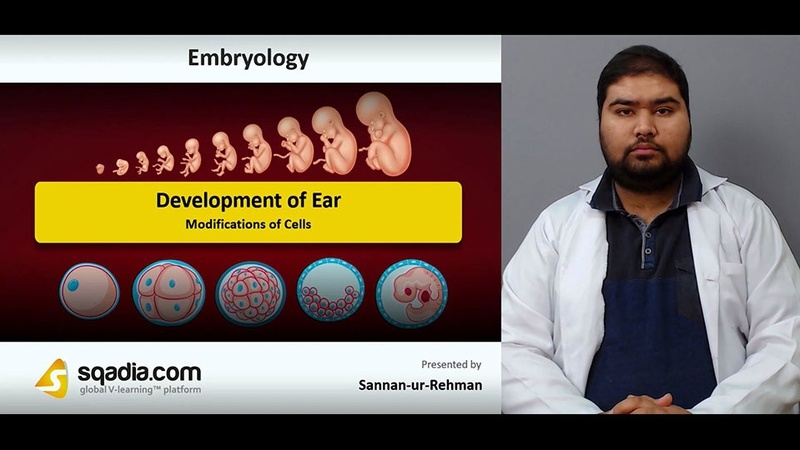 The focal point of this lecture is the Development of Ear. Section one elucidates about the External Ear. First and foremost, an Overview has been put forward. 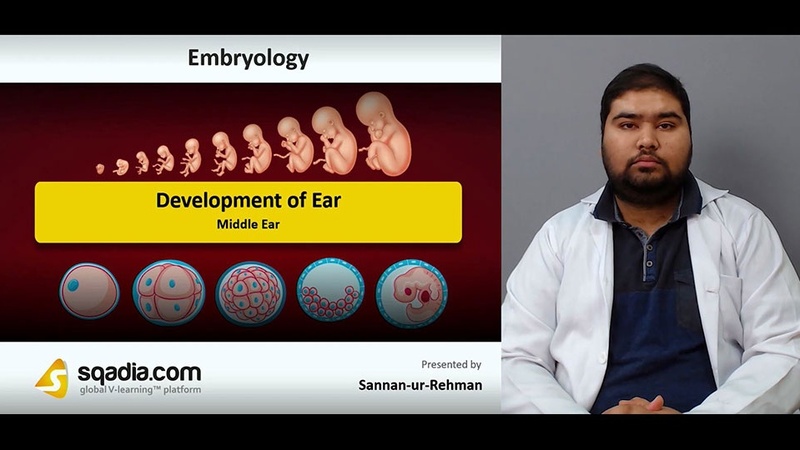 Next in line, External Ear-External Auditory Meatus has been shed light on. In the end, the educator has summed up by mentioning about the External Ear- Auricle or Pinna. 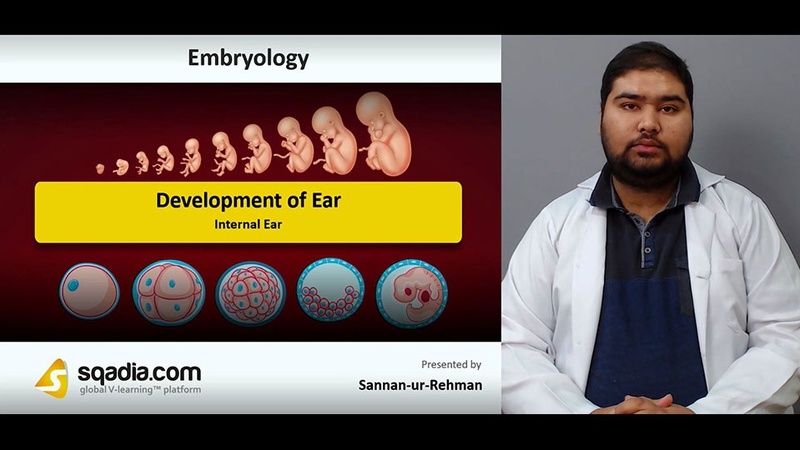 The prime objective of section two is to talk about the Tympanic Membrane. In the beginning, the educator has conversed about the Tympanic Membrane, in-depth. Following this, Clinical Correlation has been deliberated. Under clinical correlation, Anotia and Preauricular Appendages and Pits have been brought into contemplation. In the end, the section concluded by a reference to a condition termed as Atresia of the External Auditory Meatus. Section three aims at the apprehension of the Middle Ear. The section started off by putting forth an Overview. This is succeeded by a conversation on the Development of Ear Ossicles. Furthermore, Mastoid Antrum along with the Muscles of Middle Ear have been brought into reflection. Conclusively, Pharyngotympanic Tube also called the Eustachian tube has been made known. Section four accentuates on the Internal Ear. At the start, Internal Ear has been reported comprehensively. Subsequently, the Components of Otic Vesicle have been presented. Ultimately, this section clinched when the educator brought Saccule, Cochlear Duct and Organ of Corti under deliberation. The chief purpose of section five is to expound about the Modifications of Cells. In the beginning, Modification of Ridge Cells has been explicated. Alongside this, Hair Cells and the development of Utricle and Semi-circular Canals has been debated over. In the end, the educator has wrapped up by alluding to the Derivatives of Various Components of the Ear.